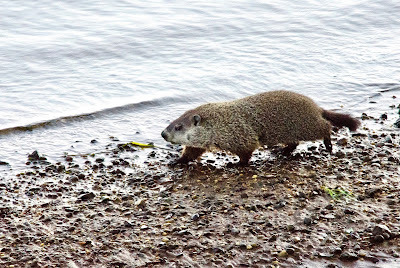 I spied this groundhog walking along the shore of the Delaware River last fall. 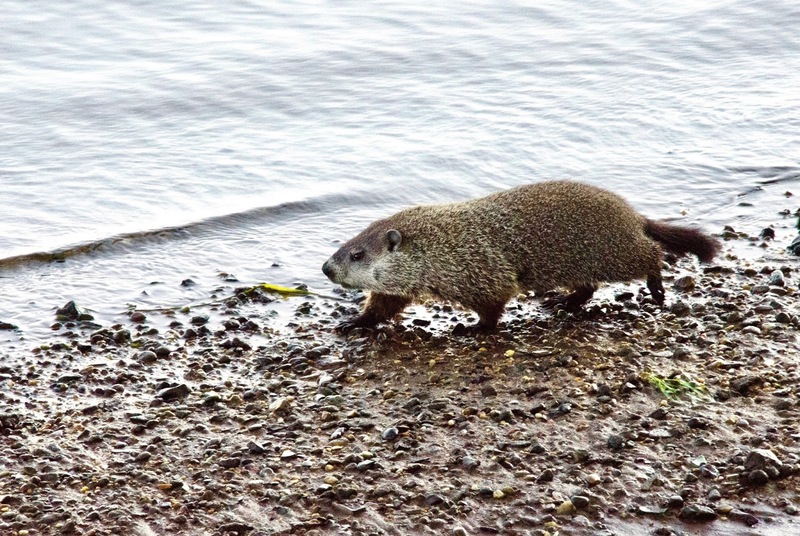 Groundhogs have a lot of common names, so you may know this animal as a woodchuck or a whistlepig or something else. Its scientific name is Marmota monax. I wonder if this one was starting to get the urge to hibernate. He looks well fattened and ready for a long winter's sleep. 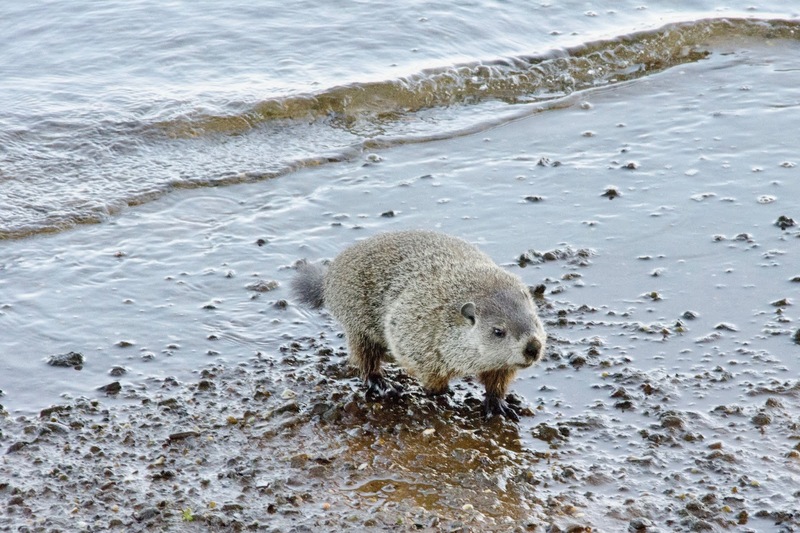 After having spent a few months in an underground burrow avoiding all the snow and storms we've been through, according to folk tradition, the groundhogs are expected to emerge this Friday, February 2nd, to predict how the rest of the season will go. They say if the groundhog sees its shadow it will run back into its burrow and we will get six more weeks of winter. But if it is not so startled, it will stay outside, signalling the end of winter. One thing we know for sure is that spring will come eventually and it is not too early to anticipate its arrival.